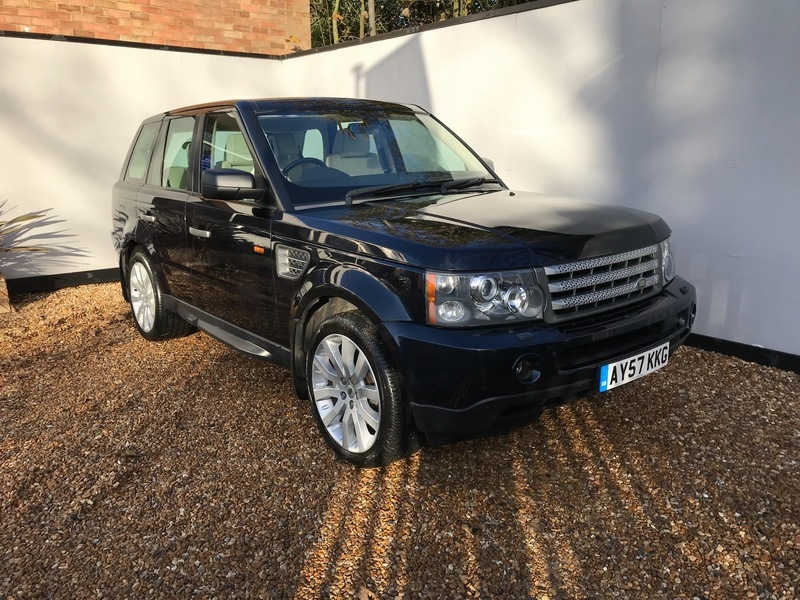 SUPERB RANGE ROVER SPORT THAT STARTS RUNS AND DRIVES AS IT SHOULD. ONLY 2 OWNERS FROM NEW LAST OWNER SINCE 2011 AND FULL SERVICE HISTORY. THIS CAR IS VERY WELL KEPT THROUGHOUT. FINISHED IN DARK BLUE METALLIC PAINT WITH CONTRASTING CREAM LEATHER. ADAPTIVE CRUISE CONTROL.ALL USUAL HSE EXTRAS INCLUDING FULL LEATHER TRIM. 20" ALLOYS. CLIMATE CONTROL. ELECTRIC HEATED FRONT SEATS.HEATED REAR SEATS. SAT NAV. WE OFFER FINANCE, PART EXCHANGE AND EXTENDED WARRANTY ON ANY CAR. ALL OUR AA APPROVED VEHICLES COME WITH 12 MONTHS FREE BREAKDOWN COVER.